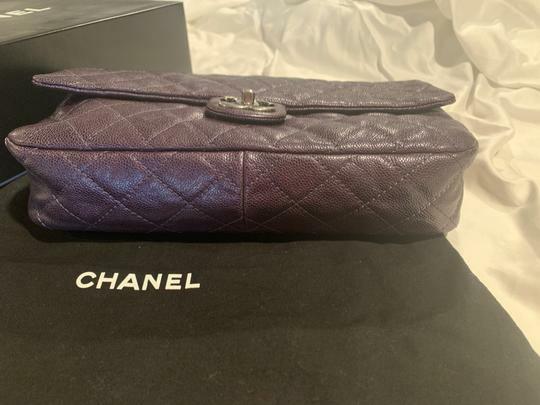 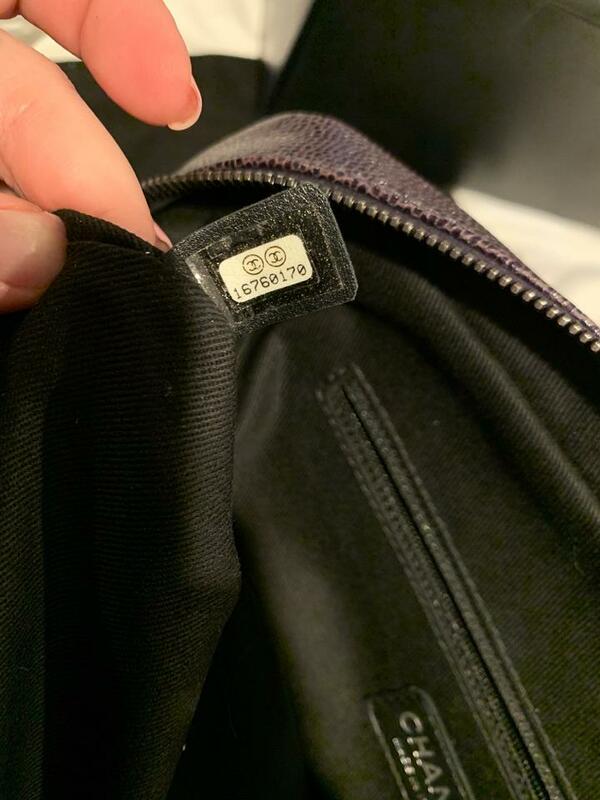 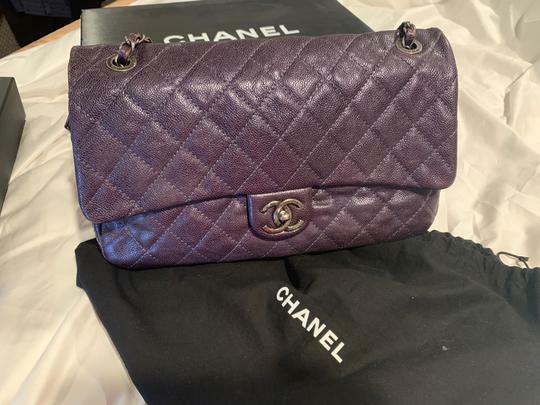 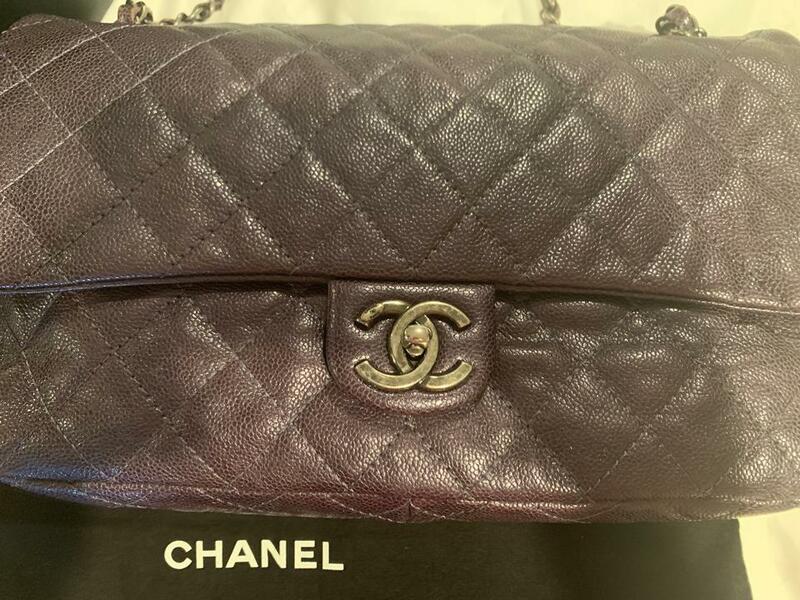 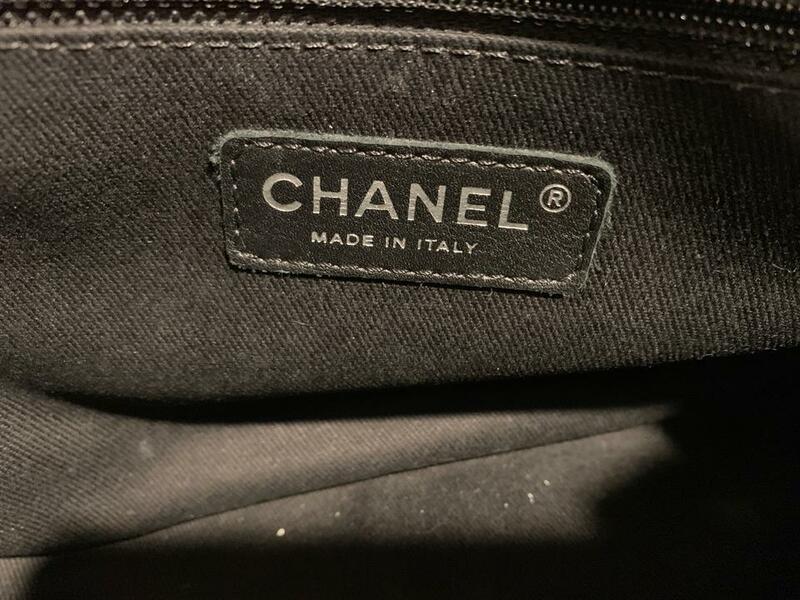 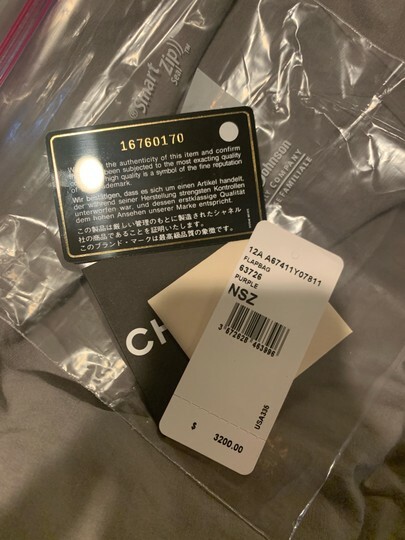 I guarantee this is an authentic CHANEL Metallic Caviar Quilted Jumbo Easy Flap Blue or 100% of your money back. 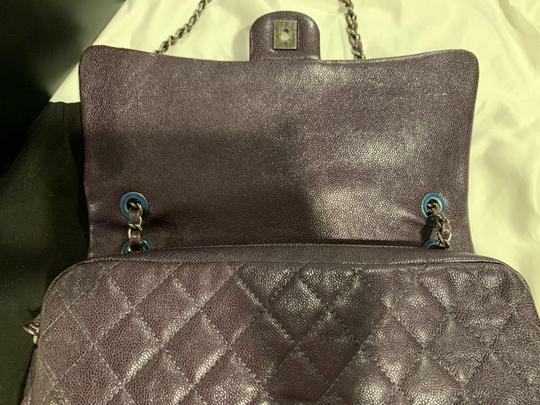 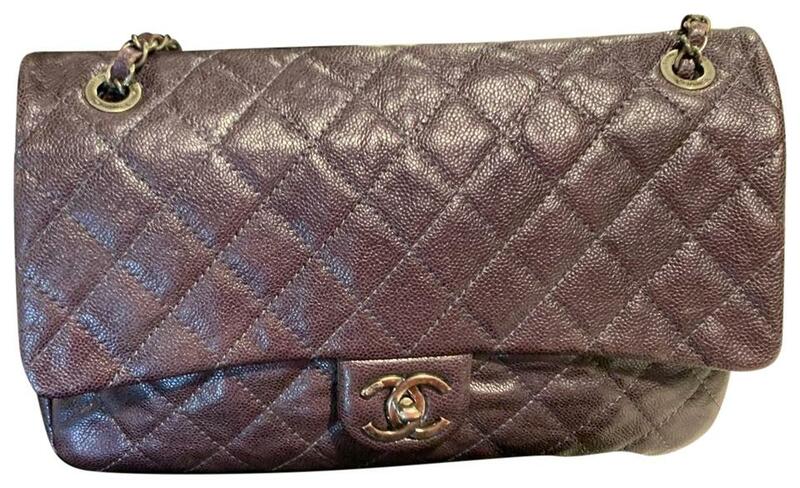 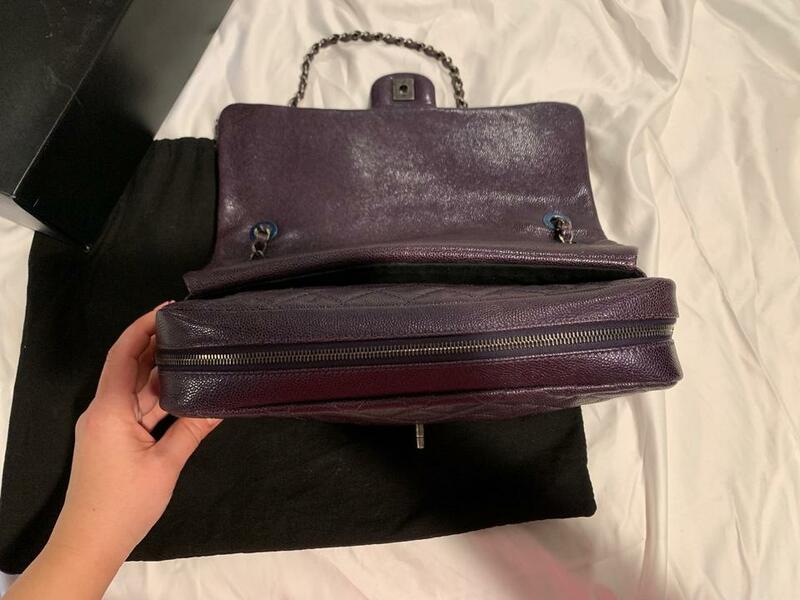 This stunning shoulder bag is crafted of luxurious diamond quilted metallic caviar leather in purple. 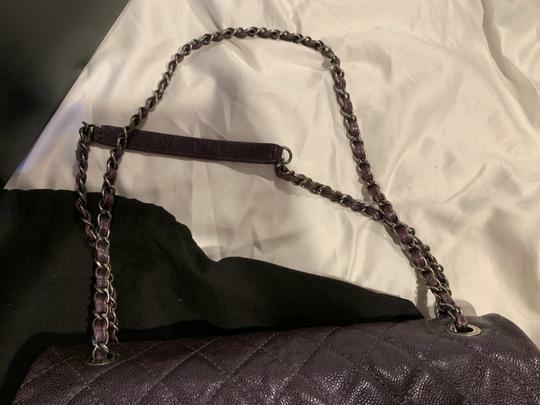 The handbag features a ruthenium chain link shoulder straps threaded with leather and a front facing ruthenium Chanel CC turn lock. 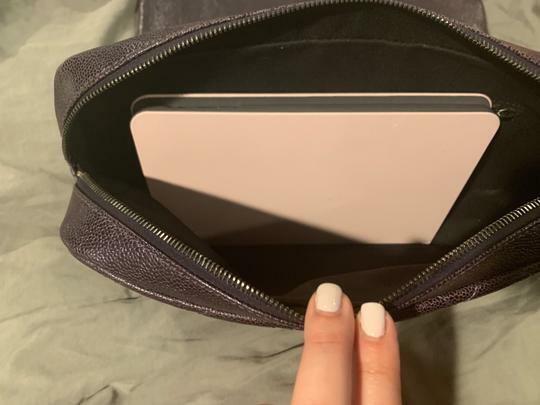 The facing half flap opens to reveal a zippered compartment with a black fabric interior with an additional zipper pocket. This is the perfect bag ideal for everyday wear with the timeless classic style of Chanel!